If there is one economy that has put the bulk of its eggs in the Chinese basket, it is Taiwan, with nearly 40 per cent of its exports and 57 per cent of its outbound investments going to the Chinese mainland. But the slowdown of China's economy is giving impetus to the island's efforts to diversify away from the Chinese juggernaut and to "internationalise", as one of its policymakers, Ms Connie Chang, director-general of overall planning at the National Development Council, puts it. At a briefing last week for foreign journalists - including this correspondent - on a media trip organised by the Foreign Ministry in conjunction with Taiwan's National Day last Saturday, she admitted that the government "didn't expect growth to be so bad" this year. Buffeted by slackening demand from China and Beijing's devaluation of its currency, which makes Taiwanese exports more expensive, the Taiwanese government had back in August slashed by more than half its growth forecast of 3.78 per cent to 1.56 per cent. Early this month, it warned that the island's export-reliant economy might not reach 1 per cent growth. In the IT sector, "we have focused on one market, which is mainland China. That has to change if we are to maintain steady export growth", said Ms Chang. "We need to be internationalised and liberalised." Taiwan is well aware that for it to remain competitive and to be less dependent on China for its trade, it needs to be more integrated with the regional and global trading systems by signing more free trade agreements (FTAs) and taking part in regional trade pacts such as the Trans-Pacific Partnership (TPP) that brings together 12 economies from both sides of the Pacific Ocean, and the Regional Comprehensive Economic Partnership (RCEP) that is being negotiated between the 10 Asean states and six other countries including China, India, South Korea and Australia. But it has been able to sign bilateral FTAs with only eight other economies: China, diplomatic allies Honduras, El Salvador, Guatemala, Nicaragua and Panama as well as New Zealand and Singapore, covering just 10 per cent of its total trade. This compares unfavourably with the 30 per cent of a key economic rival, South Korea. The principal reason for Taiwan's paucity of FTAs is China's objections to other countries signing such deals with the island, which it regards as a breakaway province. Taiwan had been able to sign the trade pacts with Singapore and New Zealand only after the thawing of chilly relations with China with the coming to power in 2008 of the China-friendly President Ma Ying-jeou and after it had signed with Beijing the Economic Cooperation Framework Agreement in 2010 to free up the tightly controlled trade between the two sides. To get round China's blocking of its signing full bilateral FTAs with other economies, Taiwan has begun to work on what amounts to the building blocks of an FTA - piecemeal trade deals with individual countries that could add up to an FTA in substance if not in name. Thus, it has signed a Customs agreement with Germany and an investments agreement with Vietnam, for example, said Mr Cheng Chin-sung, deputy director of the multilateral trade affairs division in the Ministry of Economic Affairs, during his ministry's briefing for the visiting journalists. Taiwan's predicament has brought out ingenuity in its trade negotiators. But it needs also to get into regional trade pacts if it wants to avoid marginalisation in the ongoing regional economic integration. Thus, it has been working hard over the last two years to get into the TPP, a pact involving 12 nations from the Asia Pacific Economic Cooperation (Apec) forum, of which Taiwan is a member. Taiwan has argued for its inclusion in the TPP, pointing out that the pact has been identified by the 21-member Apec as one of the pathways towards a Free Trade Area of the Asia Pacific (FTAAP), the economic forum's ultimate goal of regional economic integration. With its trade with TPP countries making up 36 per cent of its total trade volume, it is imperative that it joins the trade pact, Taiwan reckons. Its studies show that joining the TPP would add 1.95 per cent to its real GDP growth while staying out would mean a reduction of 0.27 per cent to its GDP growth. Taiwan has lobbied all 12 TPP nations, and the reply it got, said Mr Cheng, was that they were busy with negotiations and would consider its application "in the future". Now that the TPP negotiations have concluded, early this month, Taiwan is hoping that it will be included in the next round of negotiations for another set of economies to join the pact. The United States has said that Taiwan is welcome to join the trading bloc. "We welcome Taiwan's interest in the TPP," US Deputy Trade Representative Robert Holleyman said in Taipei early this month. But experts are sceptical about Washington's support for Taiwan's entry. "Taiwan would be a tricky one for the US government, so I don't see any dramatic move in that direction," Asian Development Bank executive director Robert Orr said at a forum earlier this year. "It's always a touchy issue for us in terms of our relationship with China, and in my estimation it won't be coming any time in the near term." And, as Taiwan's officials have noted, it takes consensus of all 12 TPP members for Taiwan to be included in negotiations and all 12 have diplomatic ties with China. Still, Taiwan is not deterred and has begun preparing itself to join the trade pact in the "small window of opportunity" afforded it - as described by its trade officials - with China as yet undecided whether to join the pact. And Taiwan has much work to do, given that in several areas it falls short of the high standards of the TPP. 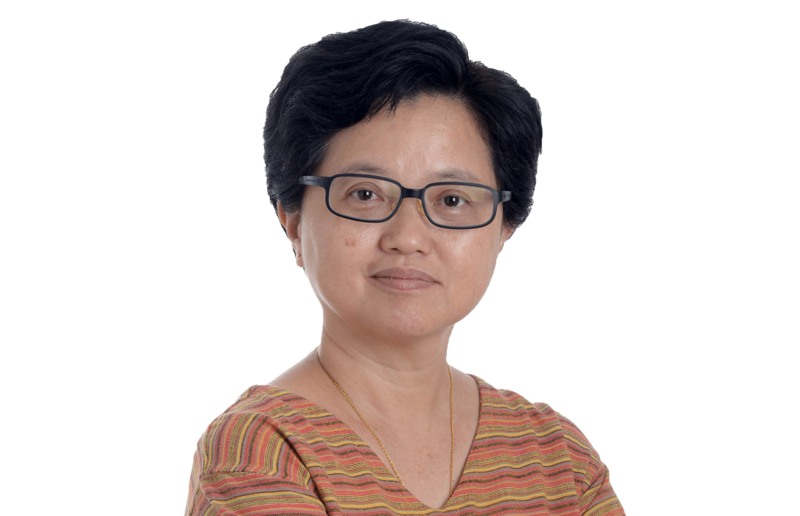 By Ms Chang's own admission, the island needs to liberalise its service sector, including its financial sector, which had seen a brain drain to Hong Kong and Singapore - two important financial hubs of the region - because its strict controls had hampered growth before liberalisation began two years ago. Other areas that need opening up include the agricultural sector, while it needs to strengthen its protection of intellectual property. Joining the TPP would entail liberalisation that will hit some of its industries hard, particularly agriculture and traditional industries, but it will also give Taiwan access to markets and spur its businesses to work harder to move up the value chain. As its foreign trade officials say, it's an opportunity not only for the island to integrate with its neighbours but also for it to introduce foreign investments and know-how, international norms and ideas into its own economy. It is, therefore, not surprising that in Taiwan's fractious and polarised political environment, joining the TPP is one issue on which the ruling and major opposition parties have high consensus on. If anything, should the independence-leaning Democratic Progressive Party (DPP) come to power in the Jan 16 presidential and legislative elections - as it appears likely to according to current opinion polls - diversifying Taiwan's trade will be a priority. Already, the DPP presidential candidate - and favourite to win the race - Ms Tsai Ying-wen has articulated a new Go South policy that focuses on Asean and the Indian sub-continent as a way to diversify Taiwan's trade. Go South was a policy of the Taiwanese government in the 1990s under then President Lee Teng-hui, principally to gain diplomatic recognition for his isolated island by strengthening trade ties with the nations of South-east Asia. It was a success, but Taiwanese investments in the region fell off after the 1997 financial crisis and the anti-Chinese riots in Indonesia in 1998, coupled with incentives that China launched to attract foreign investments. Taiwanese businesses began flocking to China in droves, attracted by the geographical proximity and language and cultural familiarity. Indeed, when the first DPP government in 2002 revived the Go South strategy, it struggled to draw Taiwanese investors to South-east Asia despite the support it gave to them. "Ninety out of 100 businessmen in Taiwan would choose China rather than South-east Asia," a trade official noted in 2004. It did not help that the DPP government made use of Taiwanese investments to push for its leaders' visits to South-east Asian countries, causing a wariness in the region of the policy. The DPP, this time round, was careful to stress the non-political nature of its new Go South policy. Speaking with this correspondent, its director of international affairs, Mr James Huang, emphasised the economic nature of the policy, which would include not just Taiwanese investments to South and South-east Asia but also the attracting of foreign talent as well as tourists from these regions to Taiwan. In what appears to be a reassurance to Beijing, he said this policy would complement Taiwan's Go West policy of enhancing trade ties with China, which is emphasised by the current Kuomintang government. "Our Go South policy will not contradict our Go West policy." This time round, the DPP's policy will find resonance with Taiwanese businessmen who, faced with less favourable investment conditions in China - higher wages and other costs, stricter environmental laws - are already moving to new pastures in South-east Asia. But the DPP's plans for Taiwan are more ambitious. "The TPP is our priority when it comes to economic integration and the Go South policy is part of our effort towards this integration," said Mr Huang. Given that China is ill-disposed towards the DPP because of its independence tendencies, it remains to be seen if it will give a Taiwan under DPP rule the international space to take part in the US-led TPP, particularly as it is itself not a member. The road towards TPP membership could be a long and difficult one for Taiwan that would test to the utmost the ingenuity of its negotiators.